This book takes a unique look at a person who helped change the world. All About Madam C.J. Walker is written for young readers and tells the story of this amazing entrepreneur. Madam C. J. Walker was beloved within her community for her philanthropy and expanding the local black YMCA, but she couldn’t have done that if she weren’t the first female self-made millionaire and one of the most successful African American business owners ever. Born Sarah Breedlove, she was the first person born free in her family. She married Charles Joseph Walker and became known as Madam C. J. Walker, the name she would later use on her haircare products. After talking with her brothers, who were barbers, and experiencing problems with hair loss, she developed a formula that healed scalp infections. This inspired her to start her own line of hair care products to do things like reduce dandruff, grow longer hair, smooth hair, or prevent baldness. Her company employed thousands of door-to-door saleswomen from all over the United States and the Caribbean. She supported the African American community by making a $1000 contribution for a new YMCA building in Indianapolis, funding scholarships for Tuskegee Institute and Daytona Normal Institute for Girls, and becoming a patron of the arts in the early years of the Harlem Renaissance. A’Lelia Bundles is a former network television executive and producer who enjoyed a thirty-year career with ABC News and NBC News. She is chairman of the board of the National Archives Foundations, a vice chairman of Columbia University’s board of trustees, a member of the advisory boards of the Indiana Historical Society’s publication committee and the Schlesinger Library at the Radcliffe Institute for Advanced Study at Harvard University. 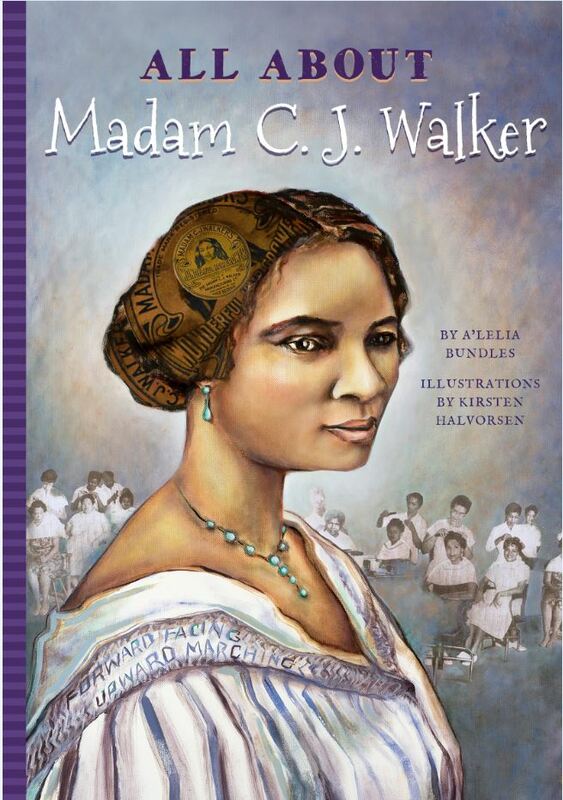 She is the great-great-granddaughter of Madam C. J. Walker and lives in Washington, D. C.